Ozarks Coca-Cola/Dr Pepper Bottling Company proudly supports several charitable organizations that work to make our community a better place to live, including The United Way, The American Cancer Society, The Price Cutter Charity Championship Presented by Dr Pepper and the Muscular Dystrophy Association. United Way of the Ozarks: We support United Way of the Ozarks’ ambition to increase understanding of human needs and mobilizing resources to meet them. This includes providing leadership for community issues, developing and allocating resources to meet community human service needs and strengthening the health and human service delivery system. American Cancer Society: The American Cancer Society provides support, information and advocacy for cancer patients and their families across the nation. Muscular Dystrophy Association (MDA): Ozarks Coca-Cola/Dr Pepper Bottling Company works with the MDA to help children in southwest Missouri fight muscular dystrophy. Price Cutter Charity Championship Presented by Dr Pepper: The Price Cutter Charity Championship Presented by Dr Pepper is an annual golf tournament, the proceeds of which support dozens of children’s charities in southwest Missouri. 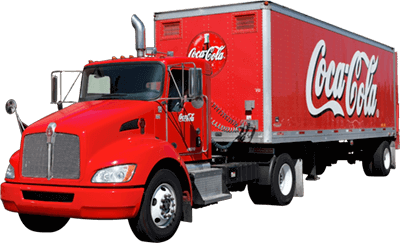 Ozarks Coca-Cola/Dr Pepper Bottling Company is proud to be a part of this local institution.